To ensure that harmonised best practice standards and guidelines are applied to the measurement and trading of viewable digital advertising across all markets in Europe (and beyond). To help significantly reduce data discrepancies (and ensure results are comparable) between different viewability measurement tools across the whole region. To develop a European Viewability Certification Framework to ensure the companies owning the viewability tools are meeting the agreed set of measurement standards outlined within the European Viewability Measurement Principles. The EVSG will be responsible for shaping the overall strategic direction of the initiative, ensuring relevance and value to all stakeholders across Europe. 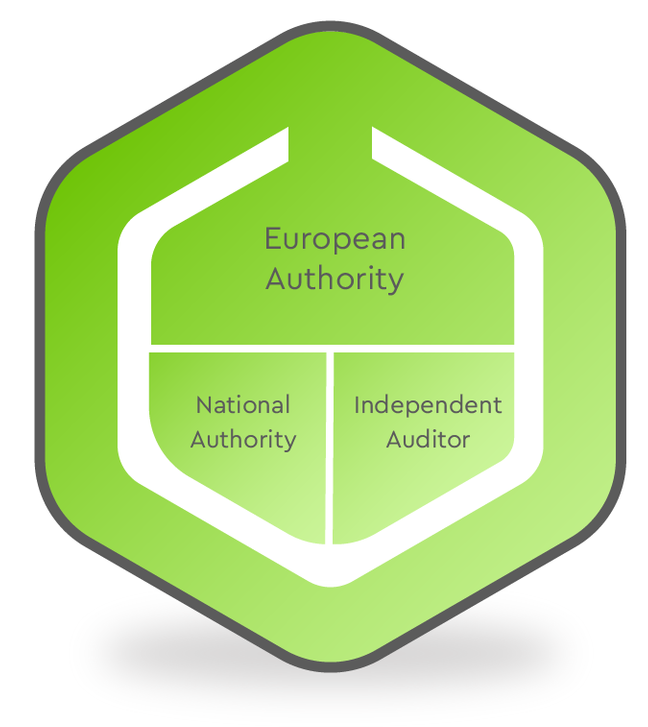 The ongoing management and implementation of the Certification Framework will be undertaken by a sub-body called The European Authority (EA) - resourced by representatives from EACA and IAB Europe. The EA will work in conjunction with national cross-industry or trade bodies to ensure the certification framework is implemented effectively in each market. The Certification Framework has been designed to create and facilitate a clear and consistent solution across all European markets - irrespective of the existing status quo. Viewability measurement companies will be able to obtain a European Seal, recognised across all markets, meaning that regional certification can be secured in any country with a participating national authority (e.g. JICWEBS in the UK) and an approved independent auditor (e.g. CESP in France). 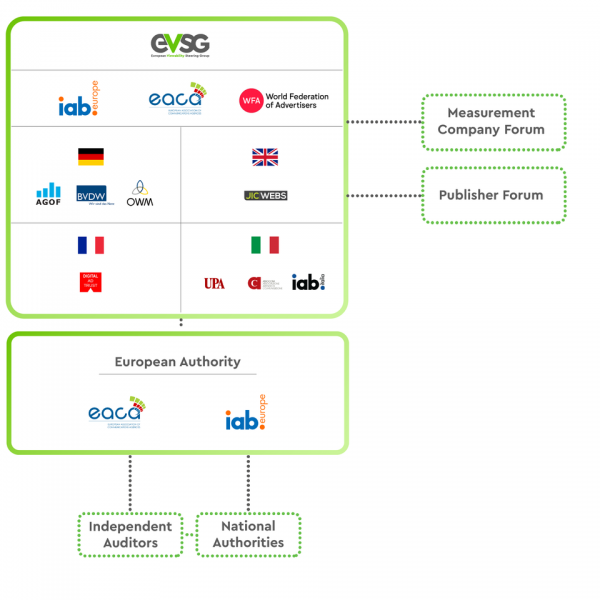 Compliant viewability measurement vendors will gain a European Seal of Approval which will be recognised across participating markets and removes the need for costly and time consuming market-by-market certification. Significantly reduce viewability measurement discrepancies: by ensuring the technical approach used to measure viewable impressions is consistent across all viewability tools based upon a standard, robust set of Principles - driving comparable results. Towards a fully viewable digital advertising environment: helping to support the quality proposition of viewable digital advertising inventory and significantly reducing payment for non-viewable impressions. 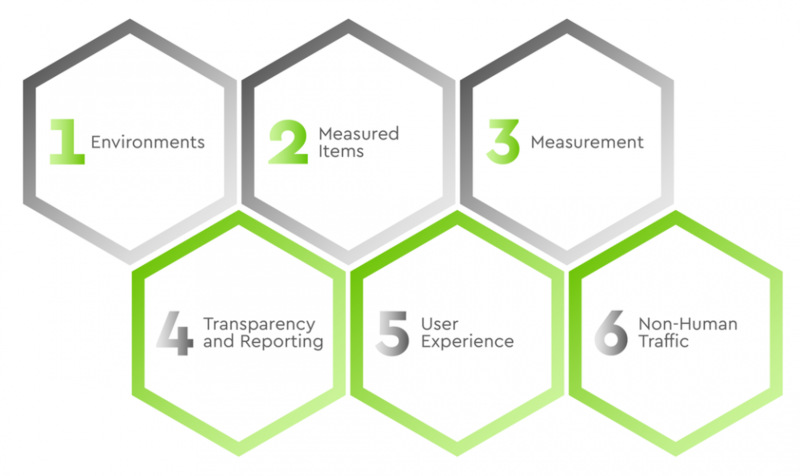 Improved transparency and value for all stakeholders (i.e. advertisers, agencies, publishers, measurement companies etc.) designed to deliver a positive impact across the whole industry- irrespective of business model, size or type of company. Harmonised multi-national approach: giving confidence to all multi national businesses that data is comparable across the European region and avoiding the need for disparate, costly national initiatives. The European Association of Communications Agencies (EACA) represents more than 2,500 communications agencies and agency associations from 30 European countries that employ more than 120,000 people. EACA members include advertising, media, digital, branding and PR agencies. EACA promotes honest, effective advertising, high professional standards and awareness of the contribution of advertising in a free market economy. We encourage close co-operation between agencies, advertisers and media in European advertising bodies. EACA works closely with EU institutions to ensure freedom to advertise responsibly and creatively. We are here to share and address international experience and issues on a pan-European basis and provide an important link between agencies, advertisers and the advertising media in Europe and around the world.